So for our European friends who can't afford a trip to Japan, perhaps the Netherlands might be much more manageable. Presale tickets are only €35 for a weekend pass, or €25 for one day. Excellent value given everything it gives you access to. Presales are now available to purchase online here. For more info, check the TodaysArt website and twitter. And for our Belgian friends, TodaysArt will also be extended this year to include an edition in Brussels the following weekend (30 September and 1 October). We will keep you updated here as it all comes together. 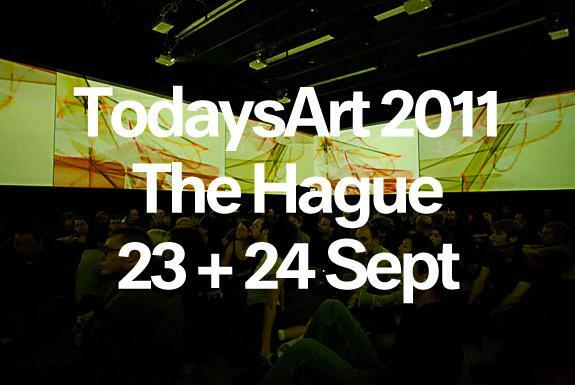 MNML SSGS are very excited to be working with the TodaysArt Festival in The Hague and hope to contribute to making something very special. September is going to be a big month! Are you coming over Chris? yep, i'm coming to the hague. Excellent guys! TodaysArt is a great festival. Shame I can't make it, we are doing Alpha-ville that same weekend, so for those who are in London join us at Alpha-ville. went last year and had a really, really great time. would like to make it this year but it's looking unlikely. sobsies.